I forget who, but someone mentioned this game to me a while ago. The developer seemed interested, but I didn't see them say much about it—until now thanks to another tip. On Steam, a user posted in their forum asking about Linux support and the developer replied showing a screenshot of their progress on a Linux build. The skybox is missing, plus a few other issues but it's promising. It looks and sounds like nothing I've seen. 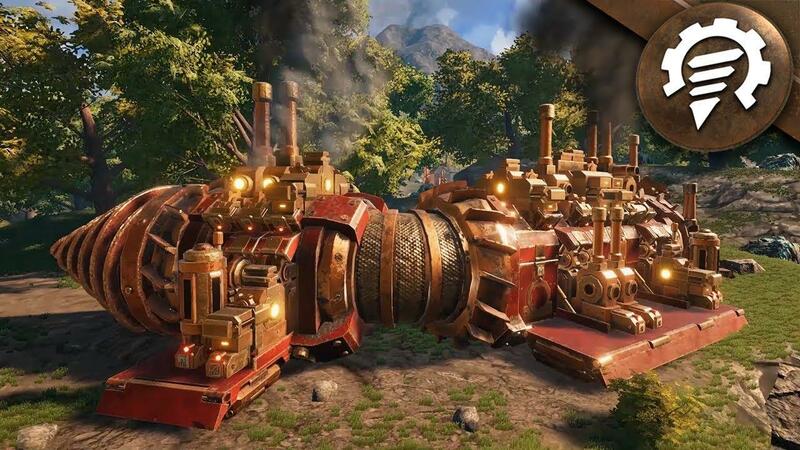 A game where your base moves, a massive steampunk-styled drill that can smash through the ground…yeah, I want this bad. If you want to see it on Linux too, sending the developer some words of encouragement on the Steam forum topic might help towards it. Wow, that looked... Incredibly cool. I like what I see here! I wonder if they are going to use Vulkan renderer by default due to shader issues, that would be cool to see. i seem to really be stuck to sandbox survival games. no matter who makes one i'll pretty much get it, primarily if it's on linux. That is unfortunate indeed. Sandbox games are best played with friends. Def buying this if/when we get it. Love the look! That artstyle gets an instant wishlist add from me, loving every part of it - though the interior modules seem to look a little bit ugly with how un-integrated they get with the rest of the interior. Though considering how early it is in development that's probably going to change, they seem to be quite passionate about working on it after all. Nope - coop will come! "Yes, coop will come first. We have many systems in place already. It will be the first big update after EA release."